(Lanka e News - 30.March.2019, 3.35PM) The Committee on High Posts of the Parliament of Sri Lanka to examine the suitability of persons nominated/ appointed to the state services and the state corporations (High Posts Committee) on Wednesday 27 March approved the appointments of fourteen career diplomats nominated by President Maithripala Sirisena as Heads of Sri Lanka Missions overseas. Mrs. K.D. Senewiratne, Permanent Representative of Sri Lanka to the United Nations in New York, Mr. Rodney M. Perera, Ambassador of Sri Lanka to the United States of America, Mrs. Grace Asirwatham, Ambassador of Sri Lanka to Belgium and the European Union, Mr. A.S. Nakandala, Ambassador of Sri Lanka to the Netherlands and Permanent Representative to the Organization for the Prohibition of Chemical Weapons (OPCW), Ms. Y.K. Gunasekara, Ambassador of Sri Lanka to Indonesia, Mrs. J.A.S.K. Jayasuriya, Ambassador of Sri Lanka to Thailand, Mrs. Pradeepa Saram, Ambassador of Sri Lanka to Bahrain, Mrs. Shobini Gunasekera, Ambassador of Sri Lanka to the Philippines, Mrs. Saroja Sirisena, Ambassador of Sri Lanka to Austria and Permanent Representative to the International Atomic Energy Agency (IAEA), Mr. O.L. Ameerajwad, Ambassador of Sri Lanka to Oman, Mr. M.J.P. Jayesinghe, Ambassador of Sri Lanka to the United Arab Emirates, Mr. Waruna Wilpatha, Ambassador of Sri Lanka to Israel, Ms. Sashikala Premawardhane, High Commissioner of Sri Lanka to Singapore, and Mr. Rizvi Hassen, Ambassador of Sri Lanka to Turkey. With these appointments, the percentage of career diplomats heading Sri Lanka Missions overseas increased from 36.57% to 46%. 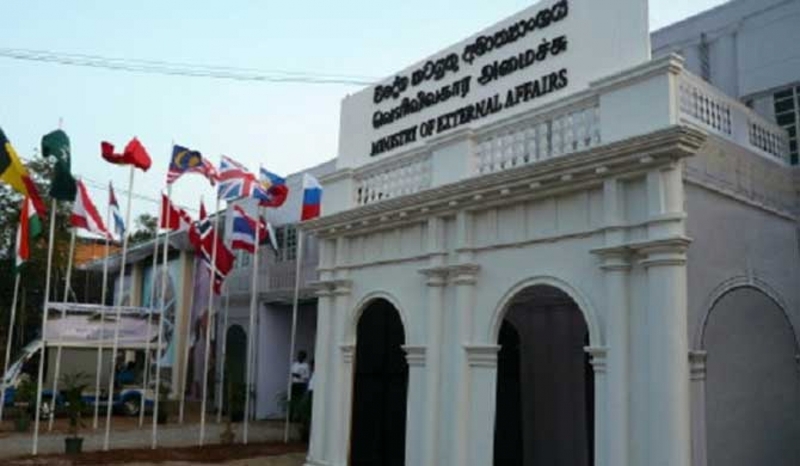 Sri Lanka maintains 52 Embassies/High Commissions overseas.